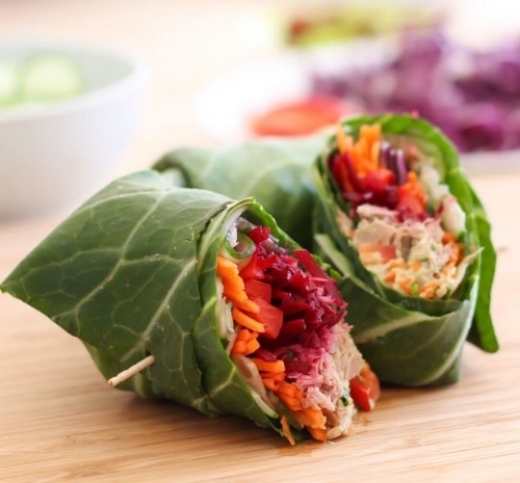 5 Steps To Prepare A Healthy, Satisfying Meal in Less Than 15 Minutes! Who said preparing meals and eating healthy always had to be difficult and time consuming and well, not satisfying? Read my 5 Steps To Prepare A Healthy, Satisfying Meal in Less Than 15 Minutes and learn the key components of a balanced meal that won't leave you feeling deprived! Make it an easy protein that's quick to cook and doesn't require a lot of time and energy. Allows search for quality if you can - organic, grass fed, pasture raised etc. Sometimes meals don't necessarily need additional flavor, but seasonings can always help make more flavorful. Sometimes the way of adding flavor can also help you accomplish Step #3 - Evaluate Your Healthy Fat. For example, a healthy dressing, avocado or coconut butter can add flavor and also fit into the healthy fat category. 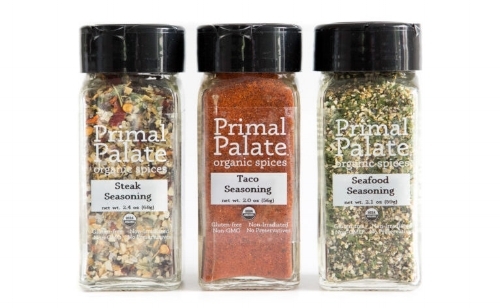 Or buy a Taco Seasoning pre-mixed along with Steak Seasoning and Seafood Seasoning at Primal Palate. 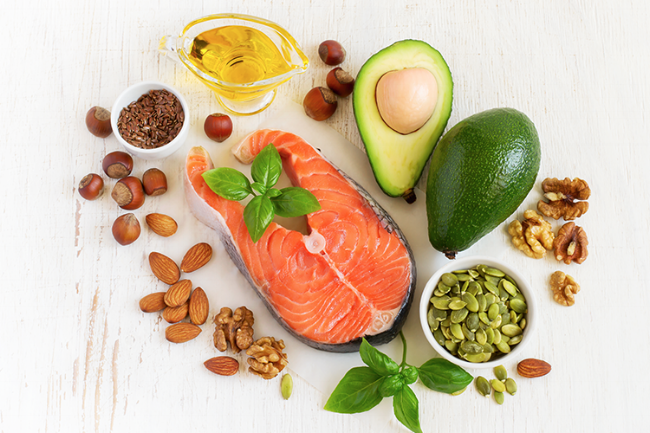 I generally recommend at least 1-2 servings of healthy fats. If you have a leaner meat (like chicken or turkey) I say add in 2 servings. Or if you're someone who isn't used to adding in healthy fats, maybe just stick with one. Again, make it EASY. The following are vegetables that all cook extremely quickly OR require no preparation at all. Remember, pre-cut vegetables are always an option. Many grocery stores carry pre-cut cabbage or broccoli slaw. Trader joes often has griller packages with pre-cut varieties including asparagus, mushrooms and onions or pre-cut bell peppers. This may be something you end up leaving behind if you're in a time crunch. A carb (like rice, quinoa, sweet potatoes or any carb dense vegetable) generally takes longer to prepare. In the scenario where you are crunched for time, the carb could be either prepared ahead of time, left out or prepared on the stove while the meat and vegetable cook. The following are examples of some meals that were cooked in 15 minutes! Stay tuned to my blog post for Healthy Recipes Cooked In Less Than 15! Liked what you read or want to learn more tips & tricks to help create balanced meals that won't leave you feeling deprived, leave a comment below or email me at Ali@NourishedAbundance.com. Set up a free 30-minute discovery call today! Newer PostAn Easy, Refreshing Summer Salad!